September is here and for us that means the start of a new homeschool year. We follow the traditional school calendar (September thru May) because of the awesome distance program we use for Marcus’ core subjects. This school year got off to stressful start because of driver’s ed. Sigh. To avoid dual-enrollment, I put Marcus in a seven-night driver’s ed. course which began last week and just ended last night. It’s a shame he couldn’t have taken the only other summer course which was in June, but that coincided with a youth camp. Honestly, if I’d known it would be this time consuming with the four-hour classes from 5:30 to 9:30pm, and the hours of homework assigned for each class (he basically rewrote the driver’s handbook), I would’ve made him trade his summer camp for driver’s ed. And, he’s still not finished because he has all the driving-with-instructor time to get in. One is scheduled for this afternoon for four hours, another for next Thursday, and then two more need to be scheduled after that. The book on the left is for history; the rest are for our own unit study. He’s studying Doctrine & Covenants this year in Seminary. 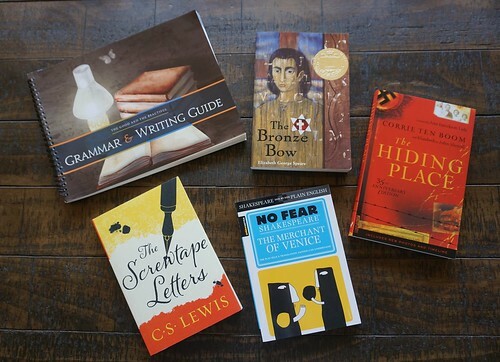 English books: The Bronze Bow; The Hiding Place; The Screwtape Letters; The Merchant of Venice. His grammar comes from The Good and the Beautiful. Driver’s ed. made us feel sorry for the public high school kids taking it. We know two girls in band, and band practice is after school for an hour and a half and then they had driver’s ed for four hours. These girls were at the school from 8:30am to 9:30pm! We were wondering when in the world they found time to do their driver’s ed homework? Or just breathe? We are so glad we homeschool. One morning we skipped Seminary for some much needed extra sleep. We can do that when we need to and to make up the absence, Marcus completes a worksheet the teacher emails him. I don’t have any science books to show because all the resources will be provided by the teacher. Welcome to part three of a five part series focusing on our experiences homeschooling through the high school years. This series will tackle what high school learning looks like at our house, the benefits of homeschooling the high school years, the curriculum we use (plus activities outside the home), how we prepare for college, and our advice for both the child and the parent. ♥ In our homeschool, we use online classes for the base subjects of English, history, science and math. These courses are offered through an amazing private school here in Utah, Liahona Preparatory Academy. Liahona has been a true blessing to our family. I’m not going to explain how Liahona works here, but I wanted to mention it because when you follow someone else’s program, the curriculum is usually chosen for you, and that is the case in our situation. English/Language Arts curriculum- This year, Marcus has read and studied The Magician’s Nephew, by C.S. 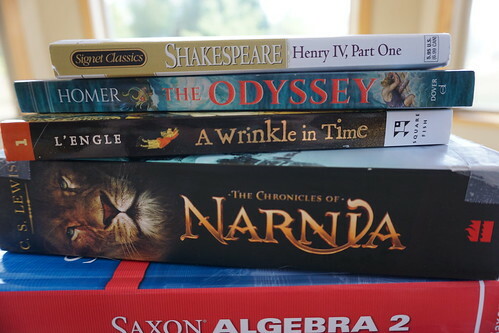 Lewis; Homer’s Odyssey; Shakespeare’s King Henry IV Part 1; and he will end the year with A Wrinkle in Time, by Madeleine L’Engle . In past years, my daughters have read and studied Jane Eyre, by Charlotte Bronte; Fahrenheit 451, by Ray Bradbury; Stone Mage Wars, Journey to the Fringe, by Kellie Swofford Nielson, and various Shakespeare works, just to name a few. ♥ There is also a grammar book Liahona uses, which is their own, but this upcoming fall, we will be using a special curriculum designed by Jenny Phillips. I am excited for that! 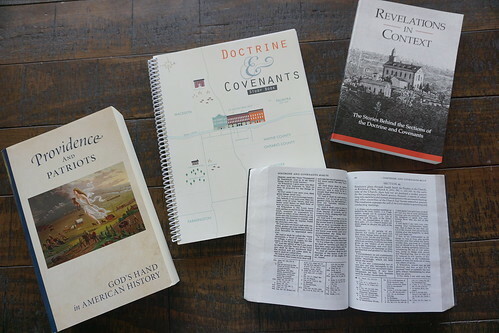 History curriculum- Liahona publishes their own history curriculum so there isn’t much to share here. However, on our own, Marcus and I have thoroughly enjoyed the Rush Revere Adventure series, on audiobook, and I would classify these as historic fiction. Even though this series is geared for younger grades, we feel we’ve learned a lot in an entertaining way. Science curriculum- This year, Marcus is studying Biology and using the Holt Biology 2008 Student Edition, which we purchased through Amazon. 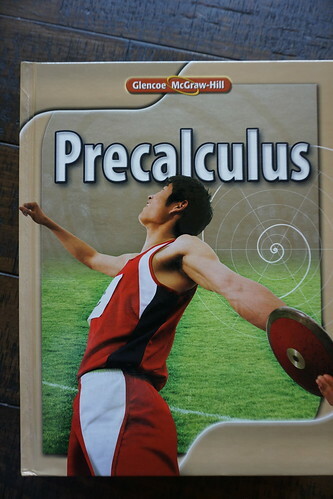 However, his teacher doesn’t have him read much of this textbook. Instead she uses it as a reference while she teaches with videos, slides, experiments, and discussions. Math curriculum- We’ve been using Saxon math. ♥ Marcus also takes a Seminary class which is a scripture study program through The Church of Jesus Christ of Latter-day Saints. This year, he is studying The Book of Mormon, which is one of our books of scripture. In future years, he will study The Old Testament and The New Testament in depth. 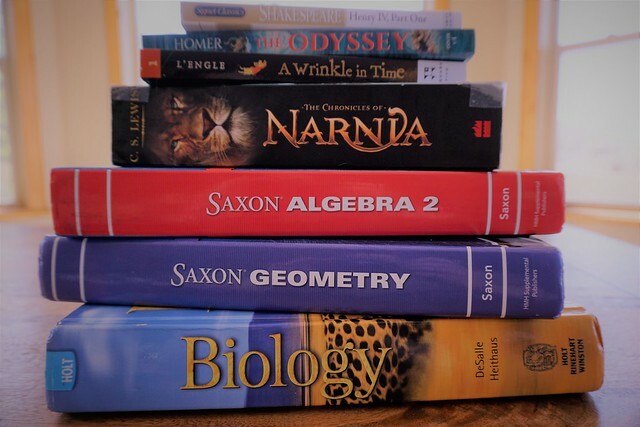 ♥ What I love about homeschooling these years is that there is more time for my teen to read for pleasure and for us to continue our read-alouds which is cherished time together. 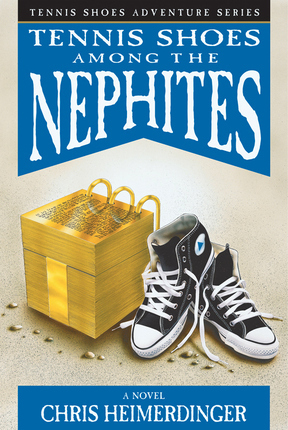 Currently, Marcus is reading the Tennis Shoes Adventure Series, by Chris Heimerdinger. Together, we are reading the third book of Jason Segel’s Nightmares! 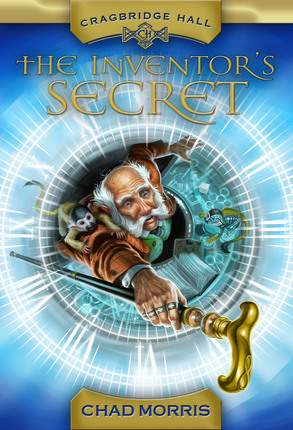 series and listening to The Inventor’s Secret, by Chad Morris, on audiobook. ♥ As for activities outside our home, Marcus participates in Boy Scouts through our church and he is on his way to earning his Eagle later this year. He participates in the Young Men’s program in our church as well, and has a youth activity with boys and girls his age once a week. He’s been skiing with friends this winter, though not as often as last year due to a lot less snow this year. In just a few weeks, Marcus and I embark on our ninth consecutive year of homeschooling. We are so excited! What joy in learning will this year bring? We are officially starting his high school years. He will continue to take the leading role in his own education. I will be there to encourage and support him. I’m so glad we homeschool because I can’t imagine sending him away for the majority of each school day, only to get the worn and rushed hours left over. That would not be enough time to continue to raise him to the best of my abilities. I also know from my experiences with my older kids that teenagers need their parents’ influence and guidance more than ever. Liahona writes their own curriculum for history. The book Marcus will be using this year is called Patriots and Providence. It’s a brand new book I expect will be just amazing as their other history books which I intend to keep forever! The text book for this course is Holt Biology. This course uses Saxon math books. He’s actually repeating this class from last year, not because he didn’t do well, but so he can really nail it. Marcus plans to major in some field of science so math is really important. Marcus will be reading The Odyssey; Shakespeare’s Henry IV, Part One; A Wrinkle In Time by Madeleine L’engle; and The Magician’s Nephew by C.S. Lewis. There is also a grammar book he will be using. These online courses are unique because they are actual classes which are filmed and streamed live, allowing distance students such as Marcus to watch them in real time which has the advantage of instant-messaging his teacher throughout class with any questions or comments he has. But they are also available to watch anytime, once recorded and that’s what makes these courses so flexible for homeschoolers. They are only Monday through Thursdays, assignments are minimal, and the gospel of Jesus Christ is woven in, helping students see God’s hand in all things. Marcus tries to watch these classes live for the most part so we base our homeschool schedule around their real-times. Unfortunately, both his math and English are at the same time. So, he has decided to start the year watching his math class live and his English class recorded. Marcus will also be starting Seminary this year. Seminary is a four-year scripture study program in our Church for the youth in 9th-12th grades. Each year, one book of scripture is covered. This year Marcus will be studying The Book of Mormon in-depth. 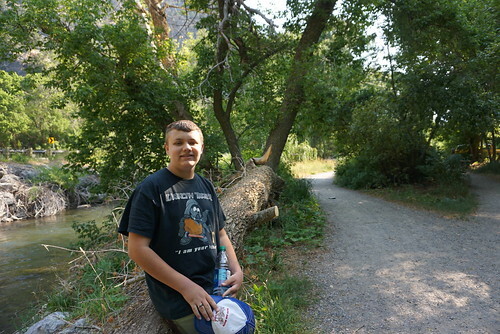 Marcus will be participating in the home study option for Seminary which means he will do four lessons at home on his own and attend one class each week. 8:30am: Breakfast devotional with mom- This is our time together when we will recite our scripture verse for the week and work on character training, art and music. On Wednesdays, this will be a poetry breakfast. 9:15am: This is time for Marcus to work on earning an additional credit for his college transcript (we haven’t decided what his class for this fall semester will be yet; it might be piano lessons) and for personal reading. After lunch Marcus will watch his English class (recorded) and then he will work on his math assignment. 8:00pm Family scripture study- this will be his Seminary time. We plan to study each lesson together and be our own little class. 7:30am Marcus will attend a Seminary class with other students. This will be at one of the Seminary buildings next to the local high school campus. 10:00am Our Friday Nature Club meets. Yay! I am so excited for this club. We have ten or so homeschooling families from across our valley meeting up with us at different locations each Friday morning. 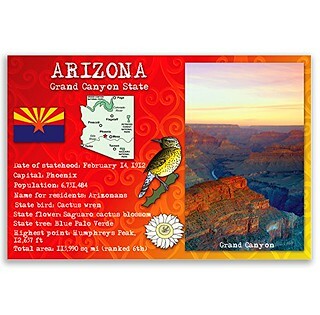 We will go on kid-friendly hikes in the canyons here, visit nature centers, go on scavenger hunts, that sort of thing. 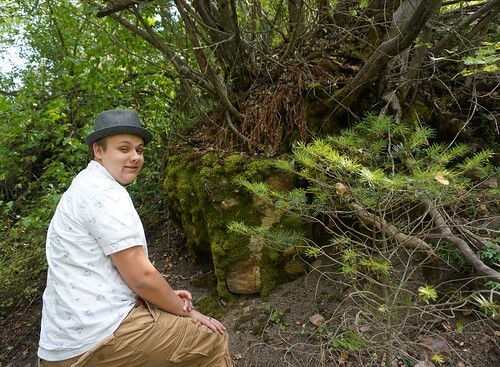 Checking out one of the trails we will be on with our nature club next month. This one follows a river and leads to a fun little nature center. Stay tuned for our not-back-to-school photos. My daughter had some cool ideas for this year’s photos and I hope to take some this week. Our first official day will be Aug. 31st when his online classes start. ♥ Thanks for reading! 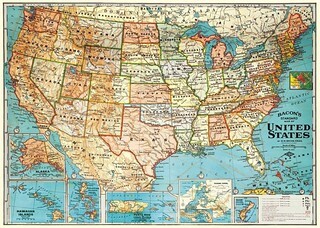 Of course we need a map! I purchased this one from Amazon, framed it and hung it on our dining room wall. I have plans with this map which I’ll share in a later post. I found this great book at Barnes and Noble. 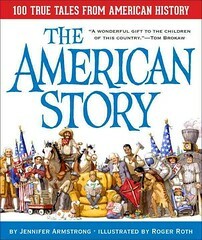 It’s called, The American Story, by Jennifer Armstrong. There are one hundred true stories dating back to the 1500’s all the way to 2000. Some of these stories will help fill in our timeline. We decided to start our timeline with Jamestown (1607). This is my favorite resource! 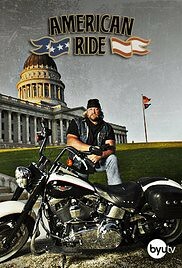 It’s an awesome TV series on BYUtv called, American Ride. We are able to stream the shows and start with the first season, which covers Colonial America. If you’re not familiar with this series, check it out! I recommend it for middle and highschoolers. 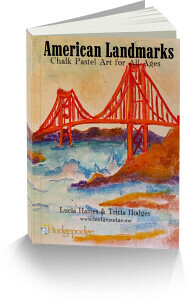 The last resource I want to share is this chalk pastel e-book I purchased from Hodgepodge. Marcus enjoys creating chalk pastel art so I thought this would be a perfect art tie-in for this study unit. By the way, there are a lot of free chalk pastel tutorials on Hodgepodge, and this kind of art is super easy, inexpensive and fun for kids of all ages.